Heat is the leading cause of weather-related death in the United States. Heat, especially when combined with humidity, is hard on the human body. A classic example is the 1995 heat wave in Chicago. Over 800 people died, many of them elderly. Another example is a 2003 heat wave in Europe that killed an estimated 22,000 to 50,000 people. Older Americans, especially those their 70s and 80s, are more susceptible to the heat, and they need to be aware of this fact. That is especially true during the dog days of summer — from mid-July through mid-August. These are generally the hottest days of years. 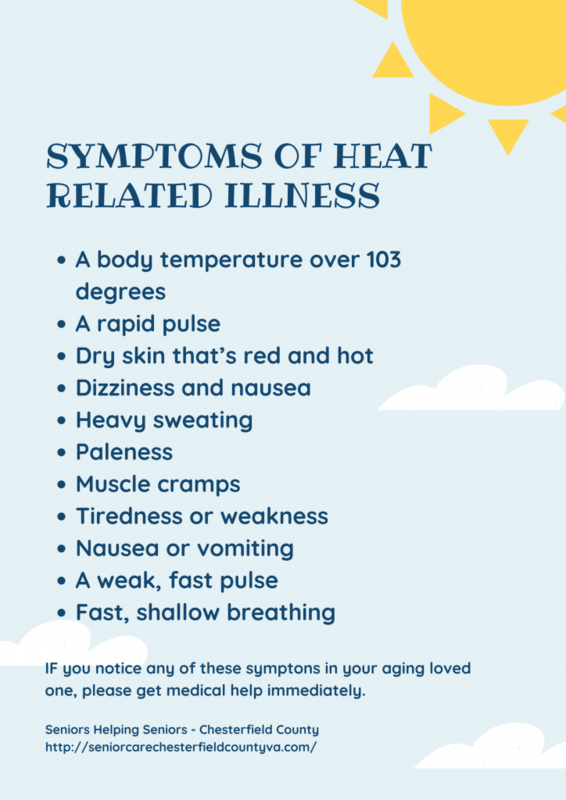 Unfortunately, many older people often deny that the heat has any impact on them, and this attitude can lead to life-threatening conditions like heat stroke and heat exhaustion. Older Americans often take medications that make them more susceptible to the impacts of heat. 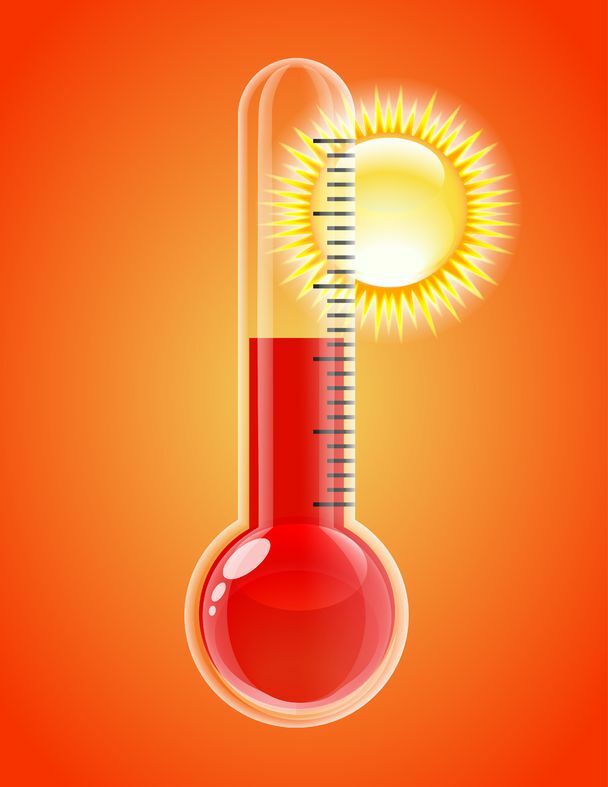 Renal disease and other diseases can also impact the body’s ability to regulate its temperature. Salt restrictions in a diet are another reason. Dehydration is also challenge. The body’s ability to retain water decreases as a person age. Studies have shown that people retain about 80 percent of our water as young adults, but people in their 80s only retain about 55 to 60 percent. Old people often don’t feel the signs of dehydration until it’s too late. A 2006 study done by a professor at Kent State University found that 90 percent of participants older than 65 knew about the risks associated with heat and humidity. They understood the need to drink more water, and stay inside in the air conditioning during extreme temperatures. Unfortunately, many older Americans don’t believe the warning applies apply to them, because it applies to people older than them. One federal study found 40 percent of heat-related deaths were in people 65 and older. Those numbers could be lower if more people heeded heat warnings aimed at seniors. Families and friends need to educate older people and talk to them about being careful when the temperature and humidity rise in the summer time. They need to be advised to take a cool shower during the day and drink water or other liquids. They should avoid caffeinated beverages. Here are a few symptoms of heat-related illness.